Escape to the warm tropical waters of Belize & learn the local culture while traveling to multiple cities within the country. 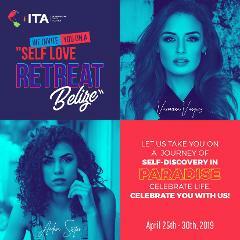 Enjoy this private Self Love Retreat with Vannessa Vásquez and her friends. Escape to the warm tropical waters of Belize & learn the local culture while traveling to multiple cities within the country. Enjoy adventures such as cave tubing, scuba diving, snorkeling, zip-lining, hiking, fishing, Mayan Ruins and more.